Steven (Chicagoland, United States) on 26 June 2017 in Landscape & Rural and Portfolio. ...the other half is putting." 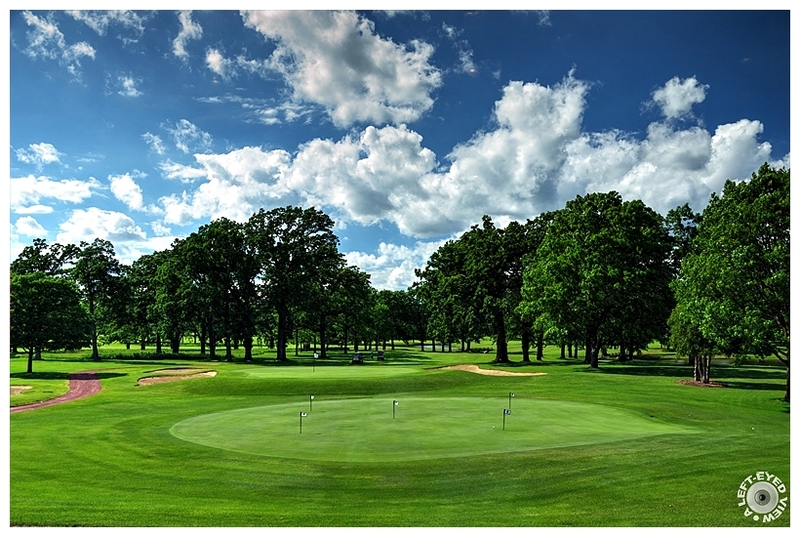 The putting green at Glen Flora Country Club in Waukegan, Illinois. Photo captured June 18, 2017. To be honest, Steven, I'd want to be looking at the beautiful scenery the entire time. HA! Beautiful landscape, I wish I could be there! Superb color in this image. The sky in this is excellent over the trees. A beautiful color combo in this catch. This is the fun half ! So lush and green, of course. Great sky, too. Excellent photograph, but that green looks too challenging with five holes! Great place!! Love grenn landscape! It's soothing and pleasing to the eye! Such a beautiful place! Golf would be such a treat here! Gorgeous color! To play golf is to spoil an otherwise enjoyable walk. The picture is nicely embedded. The impression of the three dimensional is strong and that details are subtly highlighted. I never played golf. I do not even know the rules of golf. But it will undoubtedly be a very pleasant activity, even if it is for the landscape and the contact with nature.